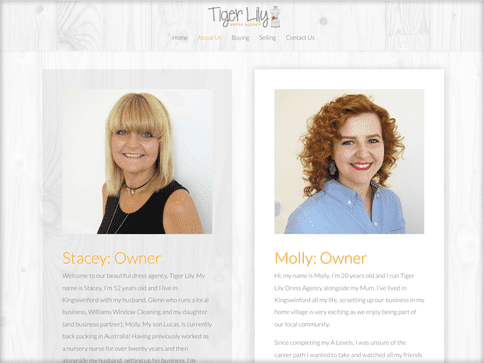 Tiger Lily were put in touch with us by one of our existing customers. 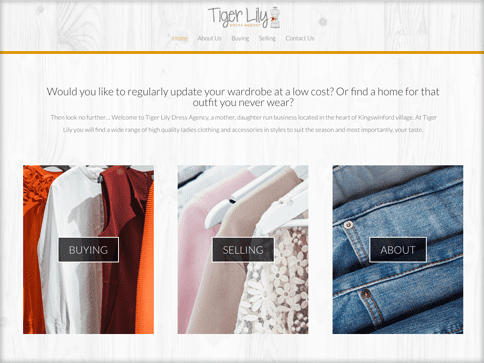 They came to us with the idea of creating a brand & website for a mother-daughter run dress agency; a shop that sells high end clothing for low prices. 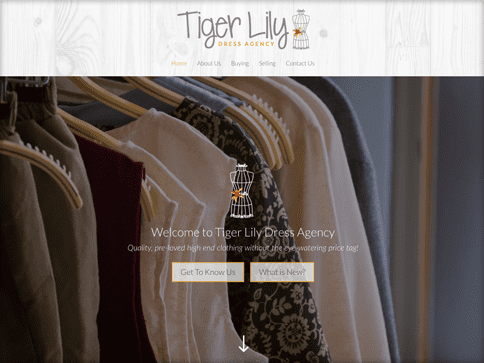 Nettl of Kidderminster worked closely with Tiger Lily to produce a quirky but sophisticated brand which has been rolled out into a simple nettl:one website. The site offers 5 interactive pages; home, about, buying, selling & contact.